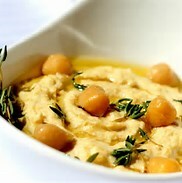 Hummus is very quick and easy to make. I usually make it rather than buy it in the store because I like to control what I put in it. I even start from scratch and cook the chickpeas rather than use canned unless I'm in a hurry and can't wait the 8 hours for them to cook. If you are planning on buying canned chickpeas, make sure that the can of the bran you purchase is BPA free. Don't assume that if it's organic it's BPA free. If it doesn't state it right on the can it likely isn't. If you are in doubt contact the vendor. When I do purchase canned chickpeas, my go to brands that are BPA fee are Organic Eden and Longo's organic chickpeas. This is an awesome wrap that is full of healthy goodness including fruit from the apple I included, protein from the chicken, healthy fats from the hummus I made, and vegetables in the form of lettuce, carrots, sprouts and of course the wrap itself – Collard Greens. Collard Greens are part of the cruciferous vegetable family (along with Brussels sprouts, cauliflower, broccoli, and kale to name a few). Some of the benefits of cruciferous vegetables are know to lower cholesterol, support detoxification, remove excess estrogen, and reduce inflammation. Collard greens are high in vitamins K, A, C and calcium. Why buy salad dressing when you can make your own? Store bought salad dressings are typically loaded with sugar, sodium, and artificial ingredients you can't pronounce. I've shared some tasty, healthy salad dressing recipes that are quick and easy to make. Since there are no preservatives, make them in small batches and store in an air tight container for up to one week. 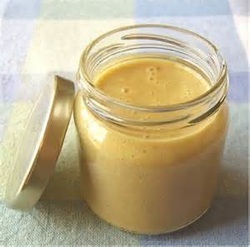 These dressings beat store bought in taste, nutrition and freshness hands down!